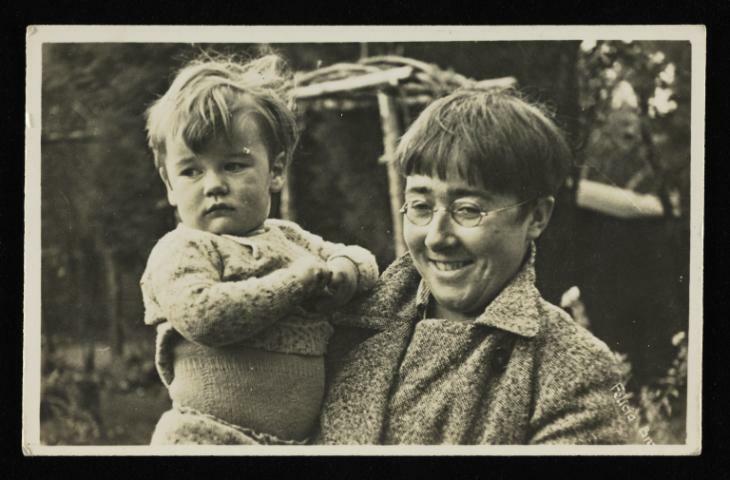 Painter, sculptor and teacher Felicia Browne volunteered to fight in the Spanish Civil War and was the first British – and only female – combatant to be killed in action. Before her death Felicia documented her experiences in letters and sketches, including her journey to Spain and her joining the militia, with her archive comprising of these materials as well as pieces from her wider practice. Watch artist Sonia Boue browse the archive and uncover the work and untimely death of Felicia Browne. Felicia Mary Browne (1904–1936) painter, sculptor and teacher was born in London. She attended courses at the Slade School of Fine Art, 1920–8 and was awarded the Certificate in Drawing. In 1928 she went to Berlin intending to study sculpture. Whilst there Browne also spent time learning metal-working and stone masonry and witnessed the rise of Nazism. On her return to London in the early 1930s, Browne became involved in the Artists International Association (AIA) and the Communist Party. She continued to study at Goldsmiths College and the Central School of Arts and Crafts. During this time Browne also travelled in Eastern Europe, visiting Russia, Hungary and Czechoslovakia and sketching the townscapes and peasants there. In early 1936 Browne started working as a scullion in a tea shop where she attempted to persuade other members of staff to join a trade union. In July of that year she went on a driving trip to France and Spain with her friend Edith Bone, a left-wing photographer. On arriving in Spain they were caught up in the Spanish Civil War and on 3 August Browne joined a Communist militia. She was killed in action on 25 August 1936 in a failed attempt to dynamite a Fascist munitions train becoming the first British volunteer to die in that conflict. A memorial exhibition was organised by Browne’s friend Nan Youngman in October 1936.